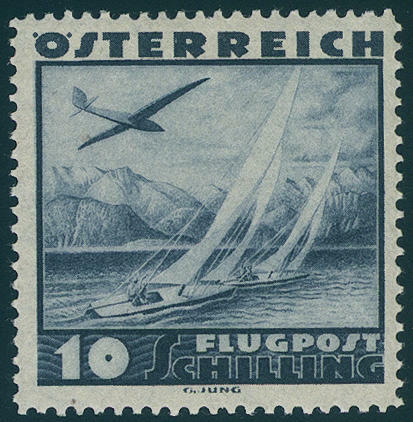 3984 38IIA 10 Kr. Blue, postal stamp 1867, fine printing, nearly mint never hinged, signed. Michel 230,- €. 3985 44/49 Postage stamps set 1883, fresh colors and in perfect condition unused, partly mint never hinged Michel 600,- €. 3986 ✉ 50,52B/53B 1 Kr., 3 Kr., 1 value fold, 5 Kr. 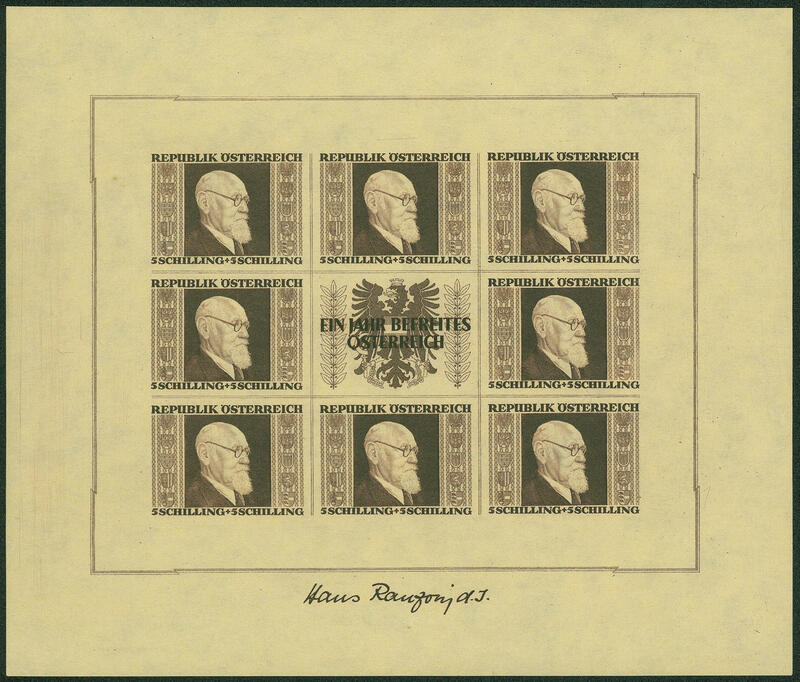 Front- and reverse on registered cover from \"BRAUNAU 2 / 7 / 95\" to Bremerhaven, expanse envoy to Sydney and Adelaide / Australia, return to Bremerhaven. A sensational cover! Photo expertize. 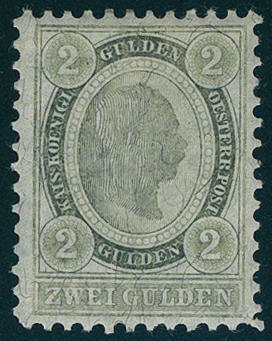 3988 156 10 Kr. 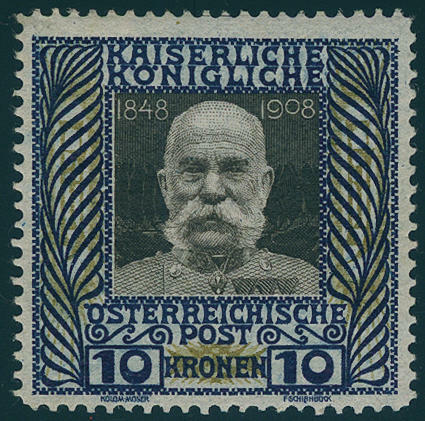 Government anniversary 1908, fresh colors and in perfect condition mint never hinged Michel 650,- €. 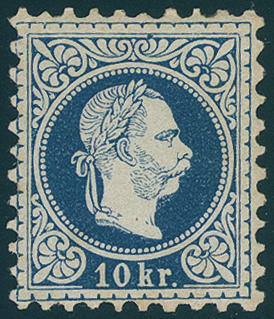 3989 404BI 1000 Kr. Black blue violet on pale yellow, scarce perforation L11 1 / 2, fresh colors and in perfect condition mint never hinged photo expertize \"genuine and immaculate\" Soecknick BPP. 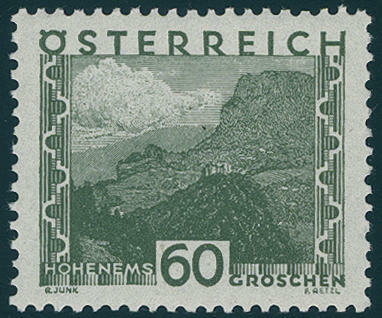 3990 498/511 Large landscapes 1929, only 2 S. Unused, otherwise in perfect condition mint never hinged Michel 900,- €. 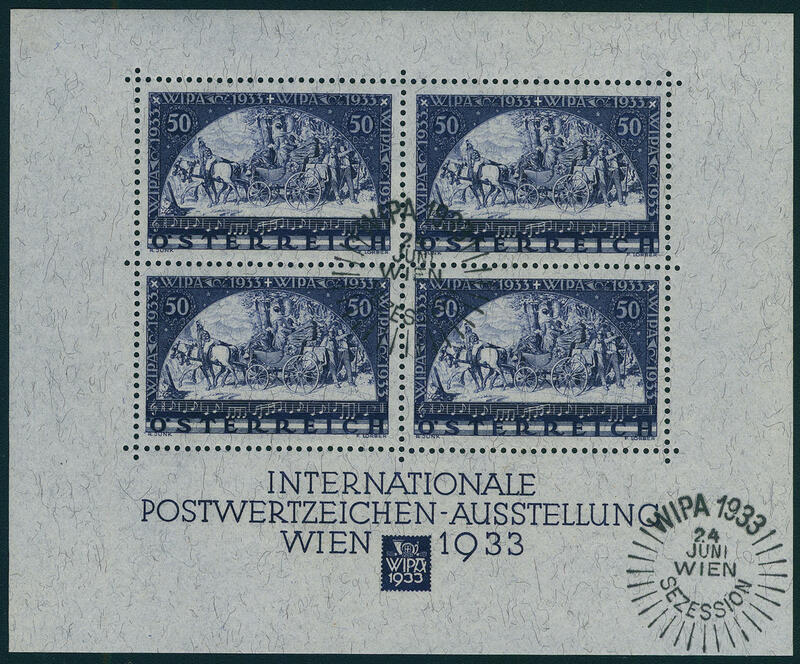 3991 ⊙ 546A WIPA-stamp 1933 on granite paper, in perfect condition with special cancel. Michel 650,- €. 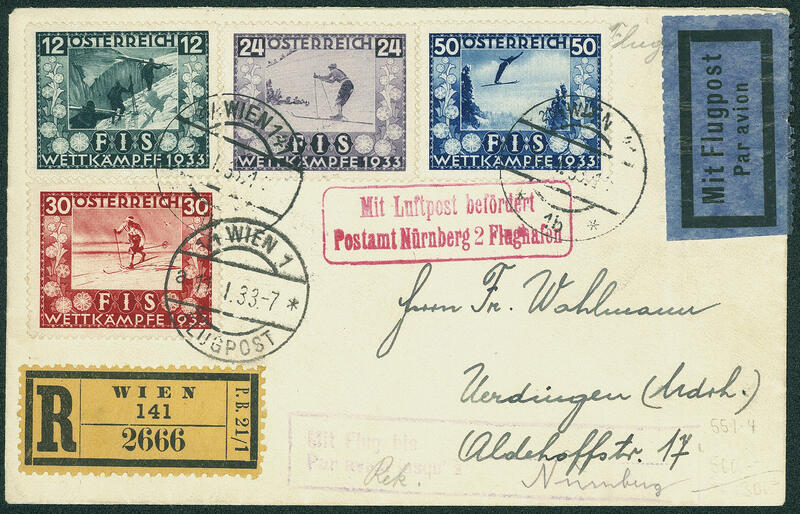 3992 ✉ 551/54 FIS 1933, faultless set franking on very nice registered special delivery letter from \"Vienna 11.1.33\" (on of this issue rare date stamp) to Germany with transit and arrival postmarks. A wonderful document! 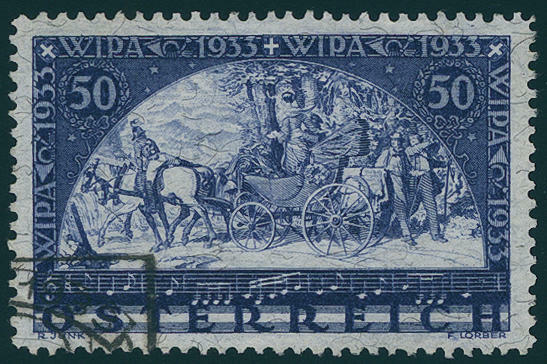 3993 Bl.1 WIPA souvenir sheet 1933, fresh colors and in original size, in perfect condition mint never hinged with the as usual affixed spots from the fold booklet in the upper margin (authenticity characteristics) in perfect condition. A very nice souvenir sheet! ANK catalogue 4300,- €. 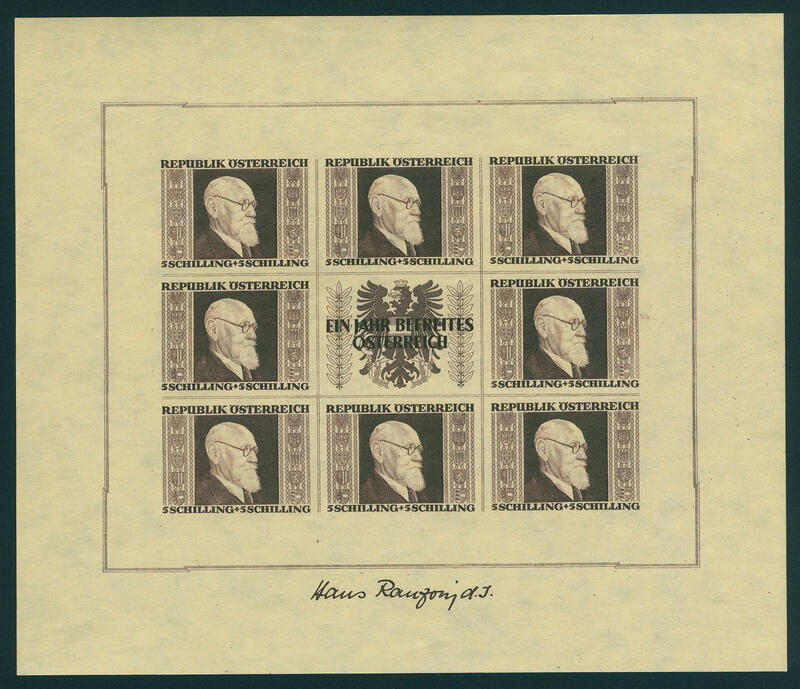 3994 ⊙ Bl.1 WIPA souvenir sheet 1933, fresh colors and in full original size with two very fine mounted clearly special cancellations \"Vienna Vienna Philatelic Exhibition secession 24. 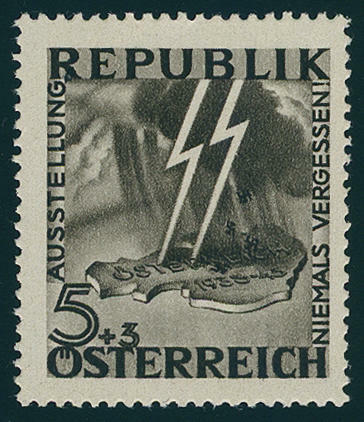 June 1933\". An outstanding quality of this rare and sought-after issue! Photo expertize \"faultless condition\" Babor / VÖB. 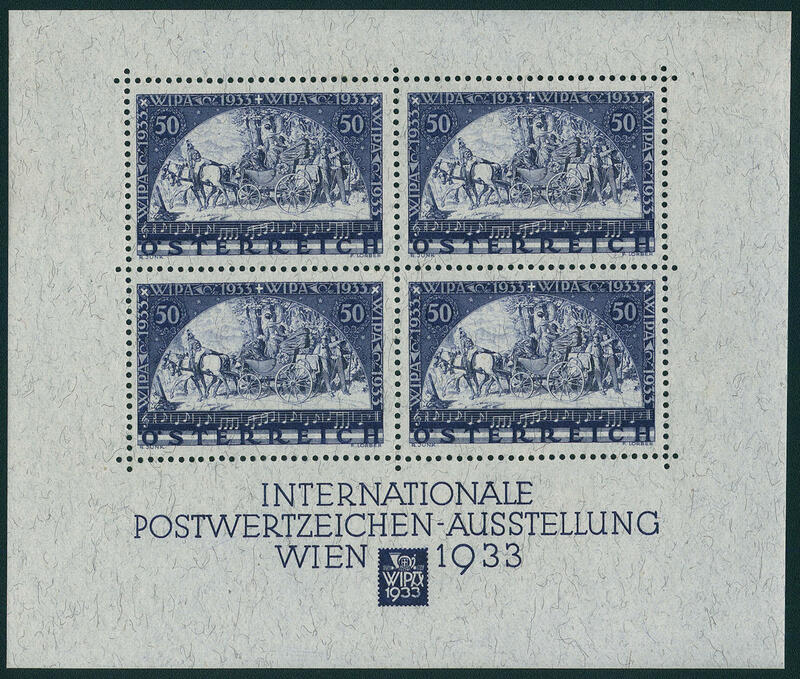 3995 ✉ 557/62 Catholic day 1933, faultless set on very nice cover with appropriate special cancel \"general German Catholic day IN Vienna 9. X. 33\". An eye-catcher! 3996 588 10 Sch. 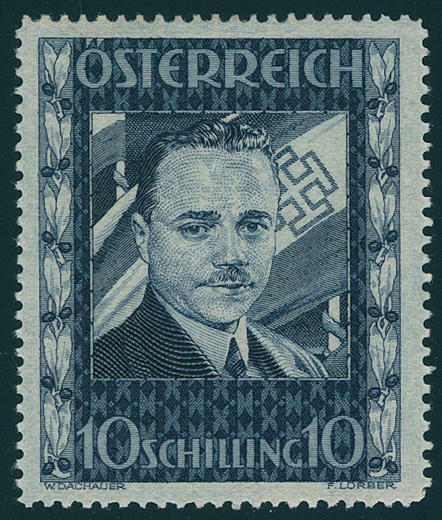 Dollfuss 1936, fresh colors and in perfect condition mint never hinged Michel 1300,- €. 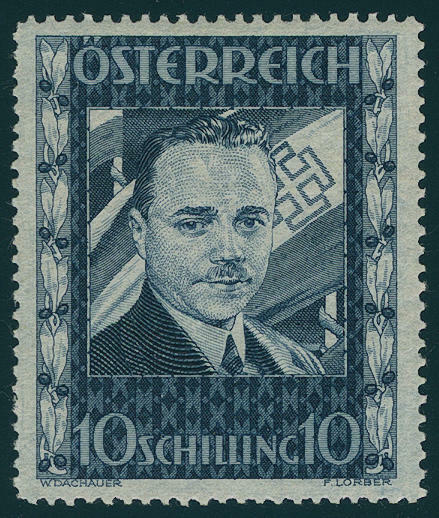 3997 588 10 S. Dollfuss 1936, fresh colors and in perfect condition mint never hinged Michel 1300,- €. 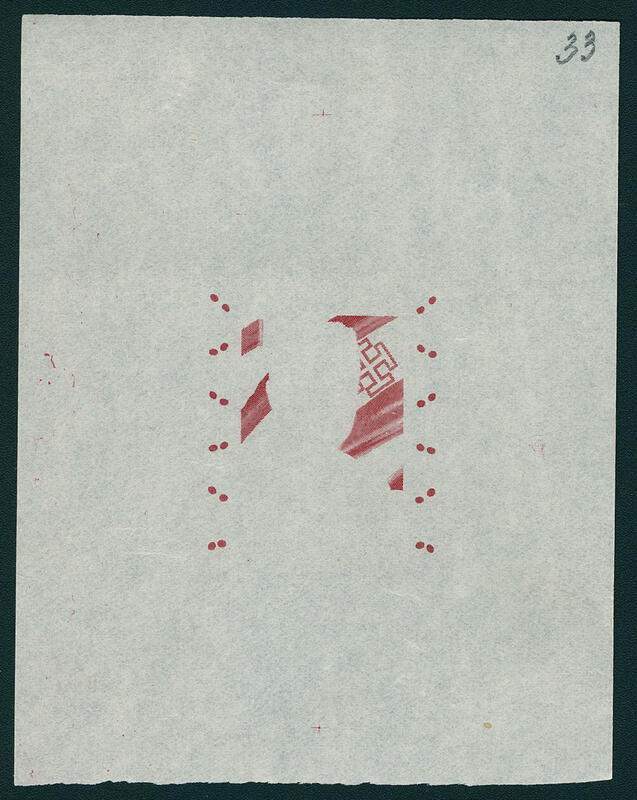 3998 588Ph 10 Shilling Dollfuß, unperforated phase print from flag and laurel in lilac carmine, in perfect condition on ungummed paper. 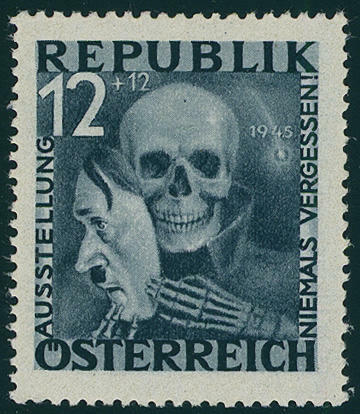 An extraordinary Austria rarity! Photo expertize \"genuine and immaculate\" Soecknick BPP. 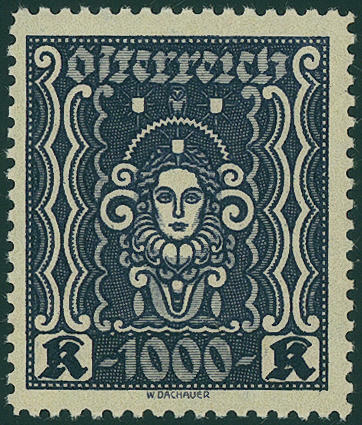 3999 612 10 S. Airmail 1935, in perfect condition mint never hinged Michel 110,- €. 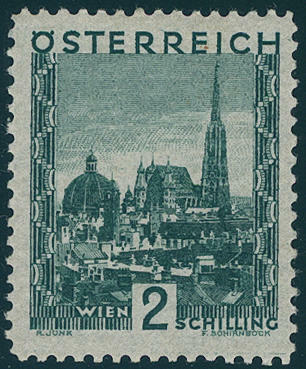 4000 772/75B Renner-sheetlet 1946 cut, fresh colors and in original size, unfolded, in perfect condition mint never hinged Michel 2300,- €. 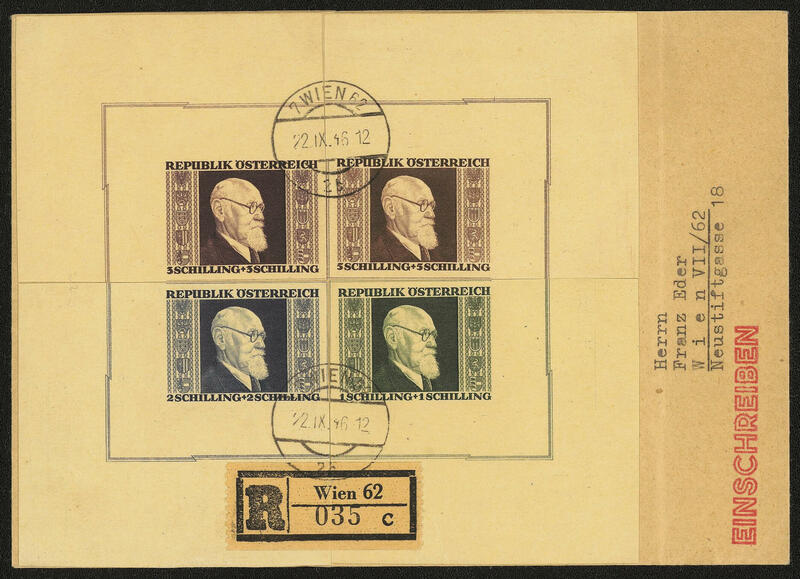 4001 772/75B Renner-sheetlet, all fours examples fresh colors and in full original size, unfolded, in perfect condition mint never hinged a very nice set this post-war rarity! 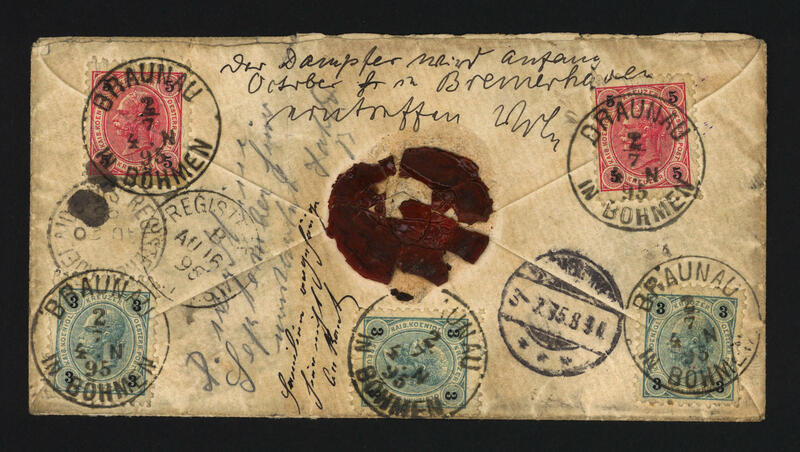 4002 ✉ 772/75B Renner set cut from corner margin on registered cover, neat cancelled \"Vienna 22. IX. 46. 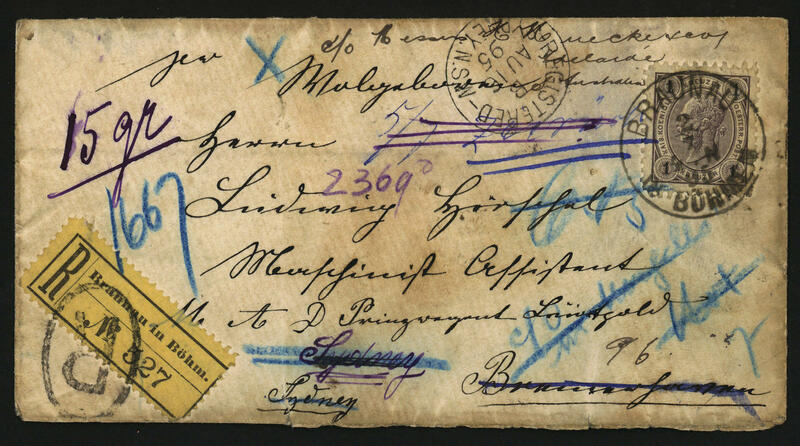 \", without arrival postmark. 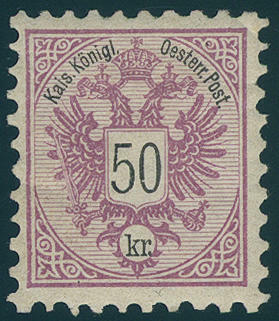 The postmark is genuine, was however not in the letter traffic used, an used within the period of validity is unverifiable. Photo expertize Dr. Glavanovitz VÖB. 4003 VI/VII Flash and mask 1946, the two of them not issued values, fresh colors and in perfect condition mint never hinged, without any signs. 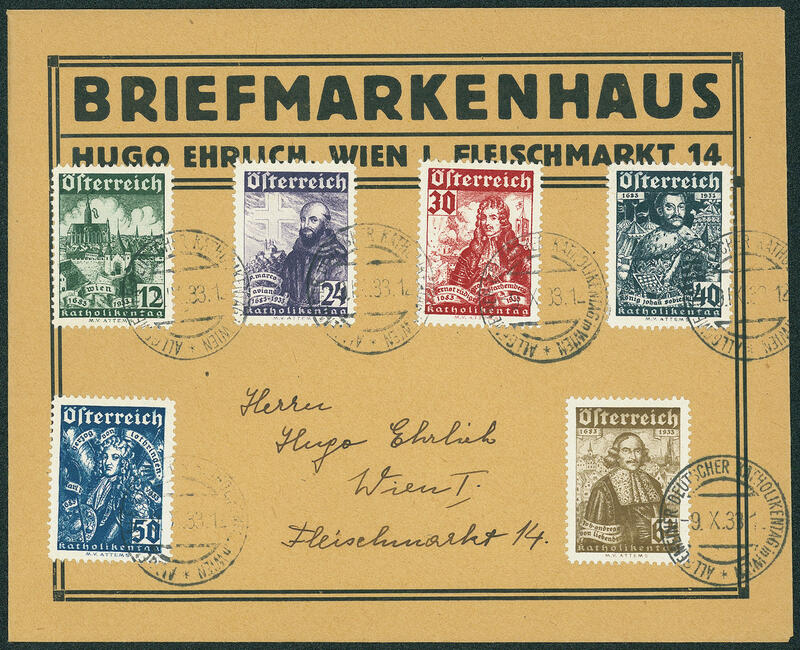 An outstanding set of this rare and sought-after issue! Photo expertize \"genuine and immaculate\" Soecknick BPP.